How Do Rising Mortgage Rates Change Your Home Buying Power? We’ve been watching the mortgage interest rates over the last few months and have seen them bounce around, but mostly remain steady. 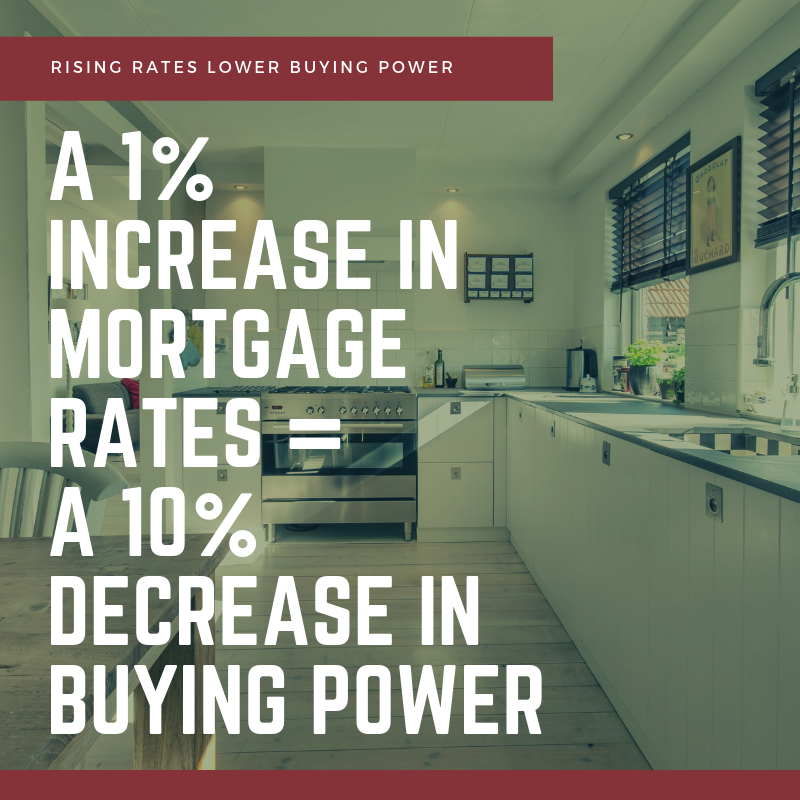 The Federal Reserve has indicated that we should expect to see more than one rate hike in 2019, so it begs the question… how do rising mortgage rates change your home buying power? The short answer is that for every 1% increase in mortgage rates, home buyers lose 10% of their buying power. Let’s say that you are qualified for a $400,000 mortgage at 4.5%. If interest rates go up to 5.5%, your home budget is reduced to $360,000 (a 10% reduction). That can be a pretty significant change to the choice of New Orleans neighborhoods you’ll be able to afford for your home purchase. Don’t let this scare you! Yes, rates will probably go up. BUT, we don’t anticipate them shooting up quickly or to the extreme rates that buyers experienced back in the 1980s (13% home loans, anyone?). Talk to your mortgage lender to determine when is the best time to lock in your interest rate and let us take care of the rest of your home buying needs. Call 504-327-5303 today to connect with an experienced buyer’s agent.